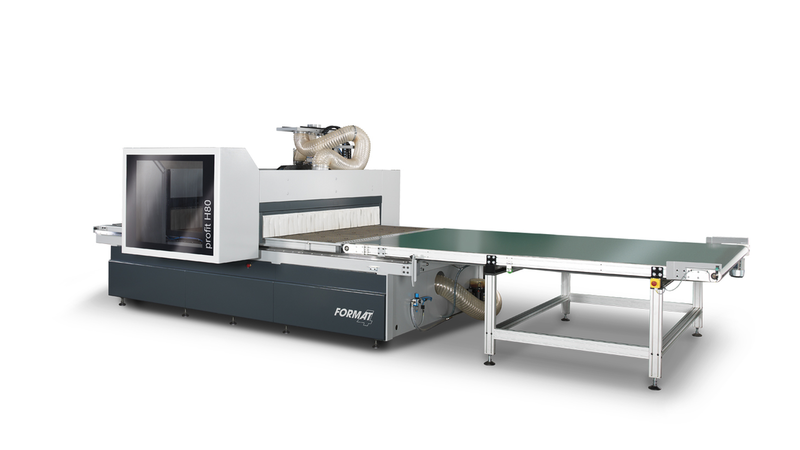 The profit H80 CNC machining centre in the midst of a smart F4®Solutions production process is the only answer to the question of the future of profitable furniture production. The panel cutting, drilling and milling centre profit H80 brings highly efficient 4.0 furniture production into future-proof cabinetmaker and carpenter workshops. Complete custom-made furniture with all holes, grooves and connections are produced in one single operation at the click of a mouse. The latest nesting technologies ensure the highest possible material and time savings. Up to full automation, the profit H80 can be extended with different loading and unloading solutions, thus achieving maximum material processing. All across the piece of furniture, F4®Solutions generates a consistent, efficient and profitable production process. The software tools for maximum productivity accompany you through the entire production chain. Easiest design of individual pieces of furniture in the familiar CAD environment. Photorealistic rendering of sales assisting 3D visualizations. Detailed data transfer to all integrated machines with economic nesting optimisation. Even the final assembly is accompanied by clear, detailed drawings and 3D data - that&apos;s 4.0 for trade and industry.